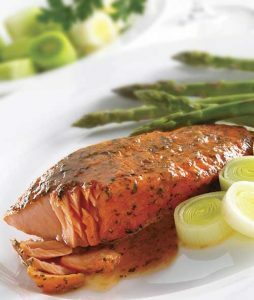 Salmon is rich in proteins and fatty acids essential for health. It is also an excellent source of vitamins such as B12 and B6 and nutrition, as well as minerals such as selenium, magnesium, and calcium. Today we know more about the properties of salmon for health. 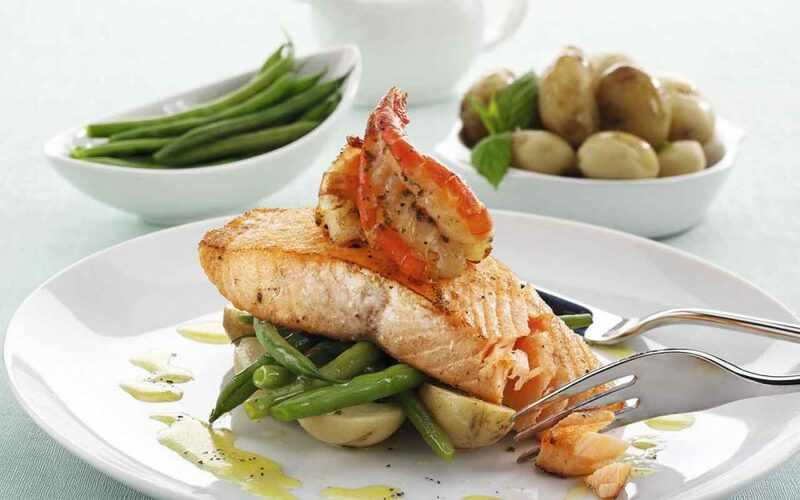 One of the main benefits of salmon is due to its high content of omega 3 fatty acids. This nutrient is a protective agent of the health of the heart and cardiovascular system, it helps to eliminate the lipids that accumulate in the blood vessels, in addition to repairing the tissues and regulating blood pressure. Thanks to the significant contribution of omega 3 fatty acids and antioxidant compounds, this fish also controls this inflammatory process. Calcium helps to prevent bone disease and weakening. 100 gr. Provide only 208 calories and offers satiety to avoid an excessive calorie intake. Antioxidants and the high intake of omega 3 fatty acids such as DHA help boost brain activity to thing more clearly and prevent cognitive decline. The intake improves mood and decreases the segregation of stress hormones to improve mental performance. On the other hand, omega 3 could prevent cognitive disorders such as degenerative Alzheimer’s disease. This food contains tryptophan, a substance with a sedative effect that helps you to sleep better and without interruptions. Now you know more about this amazing fish, don’t forget to include in your menu! We have high-quality Salmon for you!